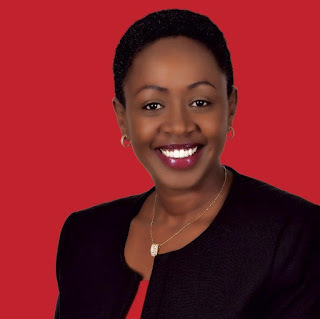 Thursday August 23, 2018 - Muranga Woman Representative, Sabina Chege, caused a stir in Parliament yesterday as she brought the business of the House to a temporary halt with her dress code. This is after male MPs complained of her revealing cloth that almost exposed her breasts. The storm kicked off after Makueni MP, Dan Maanzo, spotted Chege’s inappropriate dress code when she stepped out to the Speaker’s Chamber to consult Deputy Speaker Moses Cheboi. She was dressed in short-sleeved white blouse, revealing her upper chest, breast and arm. “Is it really Parliamentary?” Maanzo wondered. In a quick rejoinder, Sabina claimed that Maanzo was seeking her attention and that she had given it to him. longer really a lot more smartly-liked than you might be now. with regards to this subject, produced me individually consider it from so many various angles.